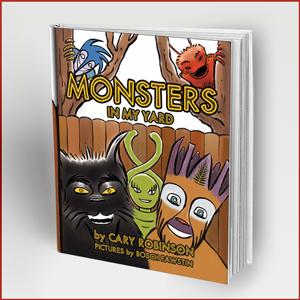 Cary Robinson debuts his beautifully illustrated children’s picture book. It is perfect for first time/young readers, encouraging and focusing on using the imagination in their everyday life. 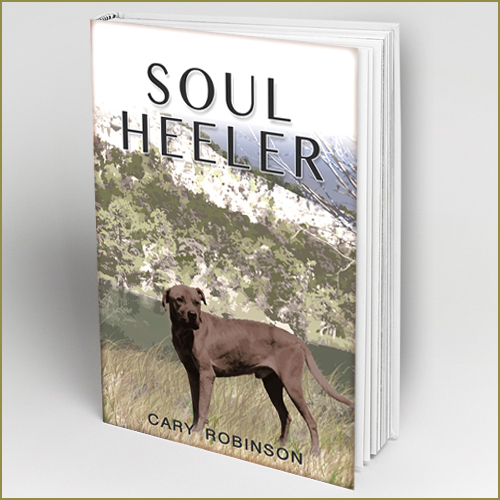 A Golden Hound Press Book For Young Readers by Cary Robinson. Cary Robinson debuts his beautifully illustrated children’s picture book. 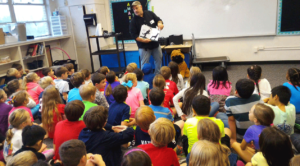 It is perfect for first time/young readers and focuses on using the imagination. With so many distractions and diversions for young children today, learning creative and imaginative ways to think and approach situations is of vital importance. 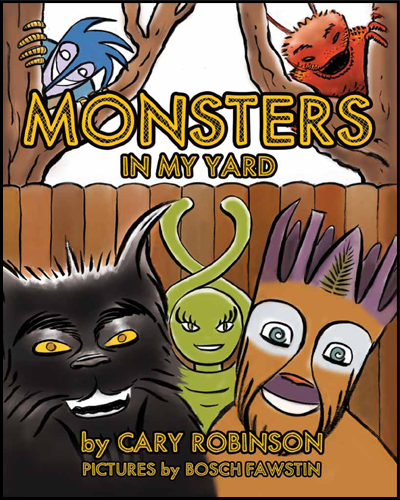 Monsters In My Yard uses simple rhyming text that flows gently and stimulates the use of brain power at an early age – the old fashioned way. Award winning illustrator Bosch Fawstin brings to life the wonderful imaginary characters that are friendly and inviting. Order now while supplies of the first printing last! Are you in the Houston area? We’ll deliver quick!